China&apos;s Mid-Autumn Festival is the second most important traditional festival in China, but it is much less well known than Chinese New Year overseas. 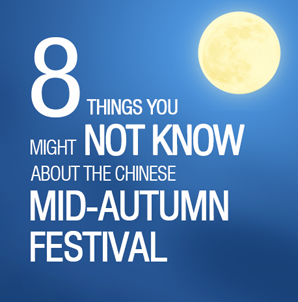 Quickly discover more about Mid-Autumn origins and customs below. The moon&apos;s round shape also corresponds to the cyclic concepts of Taoism, like the eight diagrams. That&apos;s why Chinese people are fixated on the moon and view round shapes as representing perfection. 2. Luxury Mooncakes — a Box of Mooncakes Is More Expensive Than an iPhone! 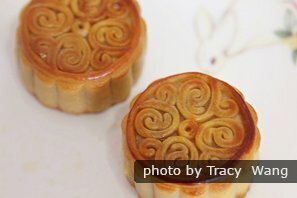 When people mention China&apos;s Mid-Autumn Festival, the first image many conjure up in their minds is that of a mooncake. 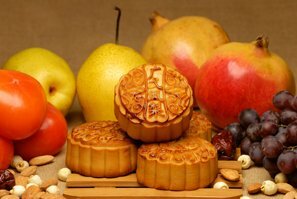 Chinese mooncakes not only have a long history but also have numerous flavors. In addition to traditional fillings, such as lotus root, melon seeds, and fruit, there are some bizarre recipes, such as chocolate spicy beef filling, leek filling, and fermented bean curd filling. With different packaging, a mooncake ranges in price from a few dozen yuan to a few thousand yuan, even though a normal mooncake&apos;s cost is very cheap. These high-end mooncakes have become luxurious presents between bureaucrats over the past few years. As the second most important traditional festival in China, the crowds traveling during the Mid-Autumn Festival should not be underestimated. 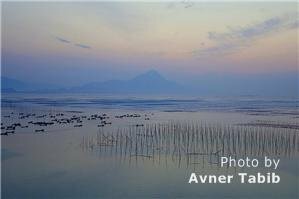 Although they can&apos;t compare to the travel rush during the Spring Festival, the largest annual migration in the world. 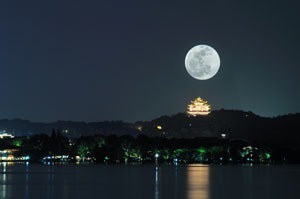 In 2008, the Mid-Autumn Festival was approved as a statutory holiday and people were granted a three-day holiday. Most people choose to go home for a reunion or go traveling, which normally causes transport stress. If you have no intention of experiencing millions of people on the move in China, then you should avoid the holiday when planning your tour. It&apos;s not unusual to end up sitting in the car all day on the highway during this holiday in China. Chinese tap their phones urgently to peck up the bits of a shared Wechat red envelope. Are you still sending cards or making phone calls during the holidays? You are out of touch. 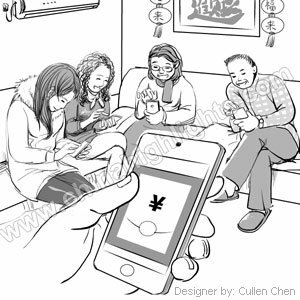 The most popular greeting nowadays in China is the WeChat red envelope, which is a mobile application allowing users to send or receive money online. During the Mid-Autumn Festival Gala on CCTV, viewers are invited to shake their smartphones for a chance to win red envelopes. People usually attach a few words as a greeting when sending a red envelope. In addition, Chinese people prefer red envelopes containing the number 6 or 8; for example, sending a 666 yuan red envelope because &apos;666&apos; means everything will be fine for you and &apos;888&apos; means hoping you could make a fortune. As Chinese netizens stated, "There&apos;s nothing in the world that cannot be solved by a red envelope; if there were, then two should do it!" Many urban parks in China have a matchmaking corner. 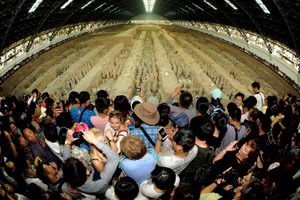 Visitors can see hundreds, sometimes thousands, of older parents and pensioners gather there. They are there to exchange information about their children who are still unmarried, hoping to find them an ideal spouse. In China, many people consider a girl to be "leftover" if she is not married by the time she is 25; a man is normally considered this at 30. Their parents desire to see them get married, and the three-day vacation of the Mid-Autumn Festival is a great chance for them to have a blind date at their parents&apos; request. 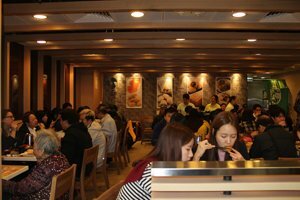 Many Chinese enjoy their Mid-Autumn reunion dinner in a restaurant. 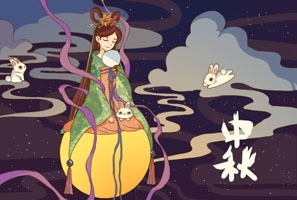 The Mid-Autumn Festival carries themes of reunification and strengthening family relationships. So a family dinner is essential to the night of the Mid-Autumn Festival. A traditional dinner in China normally means several hours of preparation. Since the Mid-Autumn Festival is only a three-day break, people no longer make dishes at home but book a meal in a restaurant instead to save time and spend more time with their family. Normally, people will book the seats and confirm the menu one or two months in advance. But for some famous restaurants, such as Guangzhou Restaurant, Taotao Ju Restaurant, and Lianxiang Lou Restaurant in Guangzhou, people make reservations just after the Spring Festival! There are many interesting stories explaining the origin of the festival. Three most widespread stories are: Chang&apos;e flying to the moon, Wu Gang chopping a cherry bay, and the jade rabbit. The story of Chang&apos;e and Hou Yi is the most widely accepted by Chinese people. It seems that people prefer romance. 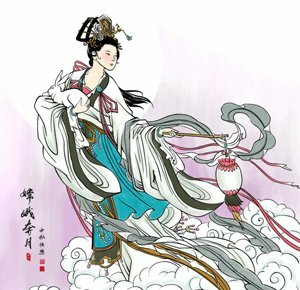 According to legend, long ago there was a beautiful lady, Chang&apos;e, whose husband was a brave archer, Hou Yi. But one day she drank a bottle of elixir that made her immortal, to honor her husband&apos;s instructions to keep it safe. Then she was separated from her beloved husband, floating up into the sky, and finally landing on the moon, where she lives to this day. Zhu Yuanzhang (the first emperor of the Ming Dynasty, 1368–1644) starting an uprising using mooncakes.